Due to the added sunshine and spring-like weather it is time to opt for a few of the Spring/Summer 2014 trends prevalent within the designer collections. My first - and a particular favourite - is the timeless and immutable white shirt. 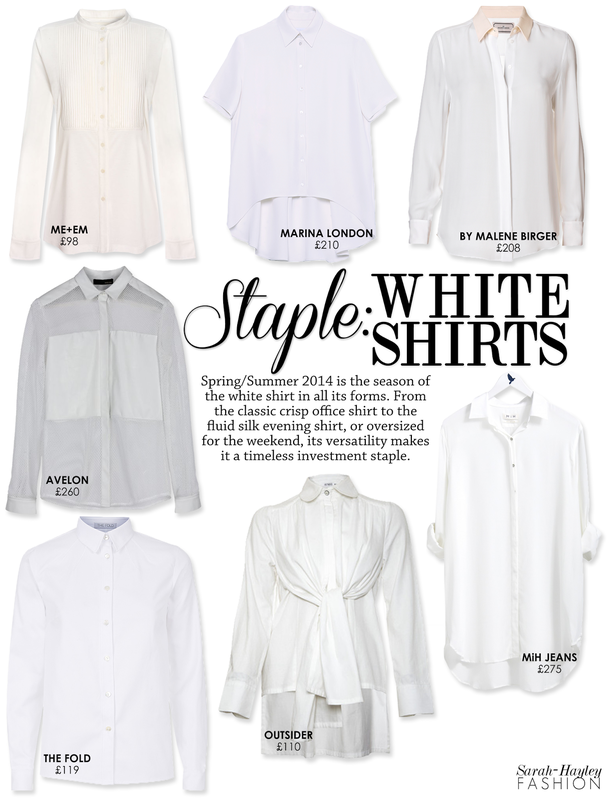 With versatility as its key feature, a good white shirt can add a multitude of options to your look. This season the white shirt is worn with creative or minimalistic layering, either wearing over a lace, as seen at Erdem, or worn crisp and fresh at Saint Laurent. I have featured a diverse selection of some of my favourite shirts, by brands I love, above.